Corporate governance codes and guidelines have long recognised the important role that institutional investors have to play in corporate governance. As well as being influential in their home countries, institutional investors have increasingly become a more significant force in other countries through their cross-border holdings. Recent corporate governance reforms motivated by the global financial crisis have placed even more emphasis on the role of institutional investors. Back in 1992, the Cadbury Report recognised the role played by institutional investors stating that ‘we look to the institutions in particular ‘ to use their influence as owners to ensure that the companies in which they have invested comply with the Code’. Various codes since then have emphasised the importance of the role. The Financial Reporting Council (FRC) publishes the UK’s Combined Code on Corporate Governance (commonly known as the Combined Code). The Combined Code (2008), in Section E, identifies three main principles. Firstly it states that ‘institutional shareholders should enter into a dialogue with companies based on the mutual understanding of objectives’; secondly ‘when evaluating companies’ governance arrangements, particularly those relating to board structure and composition, institutional shareholders should give due weight to all relevant factors drawn to their attention’; thirdly, ‘institutional shareholders have a responsibility to make considered use of their votes http://www.frc.org.uk/corporate/combinedcode.cfm The first and third principles relate to two of the tools of governance being dialogue and voting. All three principles essentially require institutional investors to behave in a responsible and conscientious way, taking all relevant factors into account and making considered decisions. The FRC’s statement welcoming the Walker Report can be found at: http://www.frc.org.uk/press/pub2174.html. The FRC has agreed to implement those recommendations that it considers should apply to all listed companies. In addition the FRC has agreed to consult on adoption of a Stewardship Code for institutional investors as recommended by Sir David. The final report on the review of the Combined Code (2008) makes various recommendations which include, inter alia, annual re-election of the chairman or the whole board; new principles for the roles of the chairman and non-executive directors. Kate Burgess in her article ‘Sir Christopher misses out on succession planning’ (Pg 21, FT, 2nd December 2009) highlights that more emphasis should have been put on succession planning in companies as this tends to be a weakness in many firms. Moreover it would be beneficial to investors in their stewardship role to have more knowledge of the process in place for succession planning. The Institutional Shareholders’ Committee (ISC) membership comprises the Association of British Insurers, the Association of Investment Trust Companies, the National Association of Pension Funds, and the Investment Management Association. The ISC has previously published guidance on the responsibilities of institutional investors in 2002, 2005 and 2007. In November 2009, the ISC published its Code on the Responsibilities of Institutional Investors which is included as an Annex in the Walker Review and which is widely viewed as the basis for the Stewardship Code which will be monitored for the adherence of institutional investors on a ‘comply or explain’ basis. The ISC states that ‘the Code aims to enhance the quality of the dialogue of institutional investors with companies to help improve long-term returns to shareholders, reduce the risk of catastrophic outcomes due to bad strategic decisions, and help with the efficient exercise of governance responsibilities.’ http://www.institutionalshareholderscommittee.org.uk/ The Code discusses the stewardship responsibilities of institutional investors which include effective monitoring of investee companies and voting of all shares held. Of course in order to carry out their responsibilities as shareholders, institutional investors need to be able to exercise their rights effectively – if they cannot, then they may be tempted to exit, i.e. to sell their shares. An article in the Financial Times, ‘Shareholder rights’ (FT, page 12, 30th November 2009) points out that ‘if selling the shares is a blunt instrument, then removing board members is the sharpest. More than nine in 10 international investors say the ability to nominate, appoint and remove directors is the most valuable shareholder right. It is wrong that efforts to boost this power in the US have been delayed by the business lobby.’ Clearly it is in the interests of effective stewardship for institutional investors to be able to exercise their rights. This will enable them to take action on prominent topical issues such as having a ‘say on pay’ in relation to directors’ remuneration, and removing underperforming directors from the board. However another dimension to consider is that of free riders. Ruth Sullivan in her article ‘Walker plan points finger at freeriders’ (FTfm Pg 3, 30th November 2009) points out that some institutional investors will not engage more with their investee companies and be active owners, rather they will save their time and money and free ride on the efforts of other institutional investors. The recent reforms mooted by the Walker Review and the Review of the Combined Code have made recommendations which will help to strengthen corporate governance in the UK. The role of institutional investors is seen an important one and institutional investors are being encouraged to engage more fully in their role as owners and adhere to the ISC Code of Responsibility for Investors. On Shareholder Democracy: what democracy? The mid-nineteenth century vision of the joint stock, limited-liability company was exquisitely simple and superbly successful. Ownership was the basis of power. Shareholders appointed the directors, who reported regularly on their stewardship over the company. Shareholder democracy was based on one share – one vote. Then something went wrong. Directors took control. As long ago as 1932, in research that is still among the most cited in the corporate governance lexicon, Berle and Means showed that power over public corporations in the United States had become concentrated in corporate boardrooms. What happened to the original notion that power over a corporation should be exercised by the owners? A similar erosion of shareholder power occurred in the United Kingdom, and indeed in most other countries whose company law reflected the old Commonwealth company law traditions. The UK Cadbury Report (1992) and corporate governance codes in other countries attempted to redress the balance by requiring board-level nomination committees, with independent non-executive director members, to put forward the names of potential directors. But these non-executives, themselves, had been approved by the chairman and CEO, and owed some allegiance to them. The board then put their proposals to the members, who got to vote. But incumbent directors effectively could re-appoint themselves and, when the time came, appoint their successors. The shareholders of a UK public company can now call for a special meeting of the members, at which a simple majority can vote to remove any (or indeed all) of the directors. Section 338 of the UK Companies Act 2006, broadly, enables members of a public company to require the company to give all shareholders notice of their resolution, provided they hold 5% of the total voting rights or total at least 100 members. But the financial risk and uncertainty of such actions make them newsworthy. Attempts to persuade the Securities and Exchange Commission and state regulators to change the rules have been frustrated by aggressive lobbying from corporate director interest groups. The latest attempt by the SEC to reform the system was put on hold earlier this year. Companies in the United States, of course, are incorporated by individual states. There are no provisions for incorporation at the federal level. Many companies are incorporated in Delaware, because company law and the Delaware companies’ court tend to be sympathetic to their interests. But Delaware company law was changed earlier this year to allow companies to reimburse the costs of circulating the names of outsider directors to other shareholders. A straw in the wind was reported in the Economist (31 October 2009). The American company, HealthSouth, a company that runs private hospitals and clinics, which in the past has been criticized for poor corporate governance, changed its corporate governance rules to allow activist shareholders to propose candidates for election to its board. The company even offered to cover the costs involved, if 40% of the votes were subsequently cast for the outside candidates. In his clumsily titled, but brilliantly perceptive book Corpocracy (Wiley, New Jersey, 2008), Robert (Bob) Monks showed how modern corporations have maximized their wealth, balked at government regulation, and locked-out their shareholders, whilst the executives rewarded themselves with massive pay packages. Shareholder control over large corporations, he argued, is weaker now than ever. Not only are these corporations rarely held to account by regulators, they face even less control by those whose interests they are ostensibly there to serve. Bob Monks feels that shareholders, particularly institutional shareholders, should attempt to influence corporate behaviour and governance for the benefit of all shareholders and society. He has called for the United States to adopt the British approach, with a federal statute that would give investors the right to call a special meeting to remove directors. Voting ones’ shares is seen as one of the main tools of corporate governance. In recent times, votes have been cast against adoption of the annual report and accounts, against the appointment, or re-appointment, of certain directors, and against certain proposed strategies. Votes can also be used via the ‘say on pay’ to signal displeasure at executive remuneration packages. Although the ‘say on pay ‘ (discussed in more detail in this blog on 6th April 09) is an advisory vote, it may nonetheless be quite effective at making boards think twice about the proposed pay packages for executive directors. However companies do not always take as much notice of the votes cast as one would like. For example, the recent annual general meeting of Marks and Spencer is a case in point as regards the use of voting as a (vociferous) voice. Andrea Felsted and Samantha Pearson (FT Page 17, 9th July 09) in their article ‘M&S chief defiant amid revolt by investors’ highlight that nearly 38% of votes cast backed a resolution seeking the appointment of an independent chairman within the next year. Sir Stuart Rose, who has been the centre of much criticism since taking on the roles of both chairman and chief executive, did not seem overly bothered by the investors’ views on this matter. There was also much shareholder dissent over the re-election of the chairman of the remuneration committee and over the adoption of the remuneration committee report. Whilst the importance of the vote is universally accepted, let us consider what happens in the UK when a vote is withheld. A withheld vote may signal that an investor has reservations about a resolution, or it may be a stronger expression that an investor is unhappy about a resolution, whilst falling short of actually voting against the resolution. However when the ‘vote withheld box’ is ticked on proxy forms in the UK, the withheld votes are not counted as part of the votes cast. The Combined Code on Corporate Governance (2008) under Code provision D.2.1, states that ‘For each resolution, proxy appointment forms should provide shareholders with the option to direct their proxy to vote either for or against the resolution or to withhold their vote. The proxy form and any announcement of the results of a vote should make it clear that a ’vote withheld’ is not a vote in law and will not be counted in the calculation of the proportion of the votes for and against the resolution. However it’s interesting to note that a decade ago, the Report of the Committee of Inquiry into UK Vote Execution (1999), published by the National Association of Pension Funds, stated that whilst it was initially attracted to the idea of adding a third box (being an ‘abstention’ or ‘vote withheld’ box), it then decided that there were several arguments against the inclusion of such a third box. Firstly it might provide investors with an ‘easy option’ so that rather than voting against, they withheld their votes; and secondly since withheld votes are not counted, and have no legal effect, then it could drive down the level of recorded votes. However as we have seen, the Combined Code (2008) does advocate the inclusion of a ‘vote withheld’ box on the proxy form. Therefore, it could be that in practice the addition of a third box which allows a withheld vote but which is not counted, may lead to the understatement of the level of dissatisfaction with some resolutions. Given that institutional investors are coming under more and more pressure to be seen to be active owners of shares, it may be that a ‘vote withheld’ will increasingly become seen as sitting on the fence, rather than taking a decision to vote against. In the US, it would seem that abstentions do have a legal effect under a majority voting system. For example, in a director election if there were more votes withheld than were voted for the candidate, then the candidate would not be elected, hence the abstentions (votes withheld) would have a legal effect. Clearly the area of voting is a complex one and changes are being brought in over time to remove barriers to voting and to help ensure that votes are cast in a way which fairly reflects the owners’ intentions. A decade ago it would have seemed highly unlikely that many institutional shareholders would publish their voting levels in individual companies and on individual resolutions but many institutional shareholders now do this. In the US a number of institutional shareholders have gone a stage further and disclose their voting intentions prior to a company’s AGM. Hopefully institutional shareholders in other countries will adopt this approach in future. Chris Mallin 10th July 2009. Widespread concern at the high levels of executive director remuneration has led to calls for wider adoption of a ‘say on pay’ in the US. Investors in the UK and Australia have, for many years, had the right to vote on the remuneration committee report of the companies in which they invest. The vote on the remuneration committee report is an advisory one meaning that it is not binding on the company. However in practice institutional investors have tended not to vote against the remuneration committee reports and on the -until recently – relatively rare occasions on which the remuneration committee report was voted against, it was seen as a strong signal of disapproval about some aspect of executive remuneration and one which the directors would be unwise to ignore. It was no surprise to anyone that the Royal Bank of Scotland shareholders overwhelmingly rejected the banks remuneration committee report at the companies Annual General Meeting on 3rd April. Jane Croft and Andrew Bolger (FT, Page 12, 4/5th April 09) in their article ‘Thumbs down for RBS pay report’ stated that some 90.42% of votes cast rejected the report. UK Financial Investments Ltd (UKFI) the Government owned company which manages the taxpayers’ shareholding in RBS, and controls 58% of the RBS shares, voted against the report. Manifest, the proxy voting agency, stated that ‘the resolution on the remuneration report at Royal Bank of Scotland Group plc represents the highest ever “Total Dissent” vote on the remuneration report since the introduction of the requirement for the report to be put forward to a non-binding vote’. Remuneration committees have previously been criticised for having a ratcheting effect on executive directors’ remuneration. The composition of such committees is usually independent non-executive (outside) directors but nonetheless this has not stopped the increasing levels of executive remuneration. This is probably in part attributable to the fact that remuneration committees would tend to recommend remuneration for executive directors in the upper quartile of their peer group hence the ratcheting effect over time. The Corporate Library points out that, in the US, chief executives pay rose 24 percent in 2007 giving a median remuneration of $8.8 million. An interesting development is for trade unions calling for more worker involvement in setting top executive pay. Brian Groom (FT, Page 3, 6th April 09) in his article ‘TUC leader urges staff input over chiefs’ pay’ highlights that Brendan Barber, General Secretary of the Trade Union Congress (TUC), stated ‘there was “massive anger” among workers at paying the price for a recession made in the boardroom, not on the shop floor’. The directors of FTSE 100 companies came in for criticism as well as the directors of banks, with Mr Barber arguing for ‘workforce representation involved in remuneration committees of major companies’. The idea of representation of the workforce on the board or board committees has traditionally not been given much consideration by UK boards but maybe that might change in the future. Another are where we may see change is in relation to shareholder proposals or resolutions. 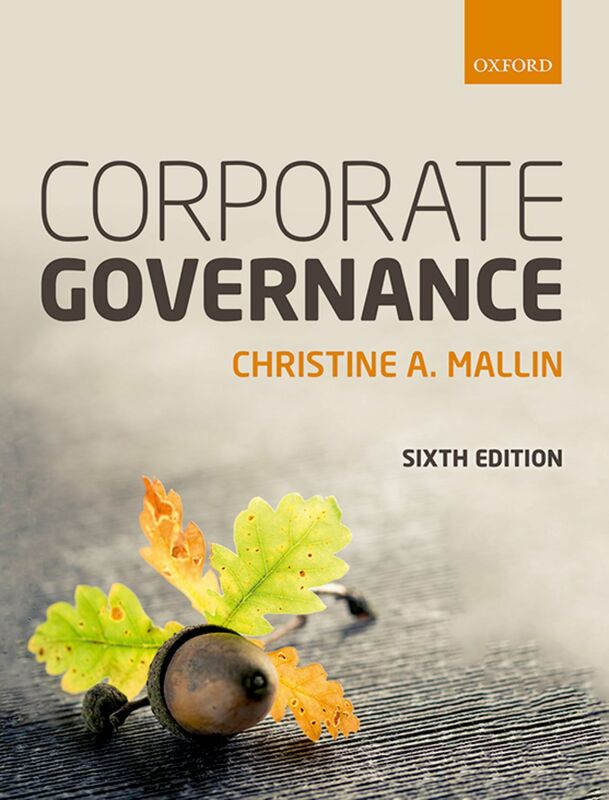 Although it is possible in the UK for shareholders to put forward shareholder proposals or resolutions, it is not that easy to do and hence dialogue has been the most frequently used tool of corporate governance with shareholder proposals maybe numbering just five or six a year. In the US it is much easier to put forward a shareholder proposal and so we can see 800 or 900 of these each year in US companies. It is likely that in the future more of these shareholder proposals will be relating to executive remuneration and that they will achieve strong support from institutional investors who are increasingly being criticised for not having taken more action to help limit executive remuneration. Francesco Guerrera and Deborah Brewster in their article (FT, Page 21, 6th April 09) ‘Mutual funds helped to drive up executive pay’ highlight that mutual funds have tended to vote in favour of companies compensation plans and this has effectively sanctioned these spiralling executive remuneration packages. Kristin Gribben (FTfm, Page 5, 6th April 09) in ‘Pay proposals to dominate proxy season’ puts forward the view that, in future, mutual funds in the US will be more likely to support remuneration (compensation) related resolutions filed by shareholders. There is concern that some companies may seek to remuneration executive directors via the ‘back-door’ if, for example, bonus schemes do not pay out. Pauline Skypala (FTfm, Page 2, 6th April 09) in ‘Warning over “back-door” pay’ highlights that this is a concern to some investors including Co-operative Asset Management whose corporate governance manager, Paul Wade, states ‘If a company fails to create value for its shareholders, it is totally inappropriate to grant rewards to management that are disproportionate to shareholder returns’. With the continuing focus on executive directors’ remuneration packages, the forthcoming AGMs promise to give rise to many interesting debates, much emotive discussion, more shareholder proposals, and many more instances where ‘say on pay’ will result in an emphatic ‘no’ to excessive remuneration or remuneration which does not have appropriately stretching performance links. Chris Mallin 6th April 2009.